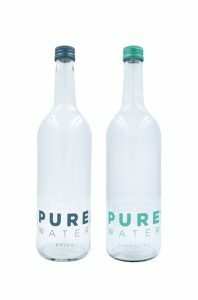 Designed to enhance every PURE WATER experience by delivering the perfect serve to your clients, guests and employees. 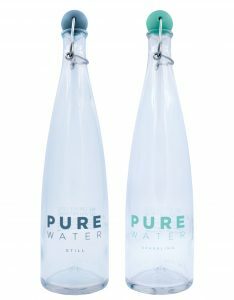 Our iconic blue and green stoppers quickly identify still and sparkling PURE WATER and make the bottles easy to use and refresh with any PUREpoint. By using a PUREbottle, you’re helping eliminate environmentally damaging plastic bottles from your water system, reducing your carbon footprint and creating a more sustainable future. 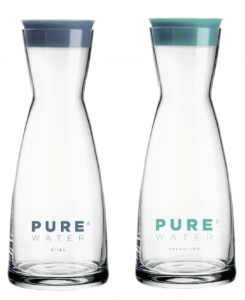 Ready to order your PUREbottle?